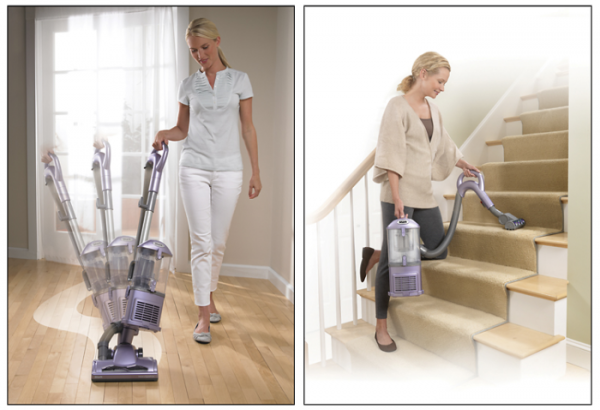 10 amps of power – Thoroughly cleans carpets and bare floors. Bagless technology – Eliminates the need to replace bags. Allergen filter – Traps dust and dirt for a healthier environment. 11″ cleaning path – Lets you cover a wide surface with every pass. 25′ cord length – Lets you clean a large area before changing outlets. Crevice tool – Cleans hard-to-reach places. Pet power brush helps clean up after pets. Antiallergen Complete Seal technology – Seals in more than 99.99% of dust and allergens. Swivel steering – For simple maneuverability.